What is different with the cap? Many of you shared with us that our old vials were difficult to crack open due to the heavy plastic wrapper that kept our caps in place. With our new vials, we’ve introduced tamper-proof, twist-off caps that make each vial easy to open — no plastic wrapper necessary. These new caps also have a built-in total oxygen barrier, which better maintains the oil’s pristine freshness level. No other omega-3 company is using this kind of technology, and we are proud to be the first! What is different with the vials? Our new vials have a shorter, sturdier look and feel than the ones we used before. And for those studying the front of the box, you’ll also notice that each 7-pack of vials now contains 3.1 oz per box, compared to 3.4 oz before. In the last year, we worked together with our trusted manufacturers to further perfect our Omega Cure oil. As a result of this endeavor, Omega Cure now contains more EPA/DHA in every mL of oil for improved potency. And because of this change, you need a smaller amount of oil to get the same EPA/DHA dose. Omega Cure was already recognized for its exceptionally low oxidation levels several years ago. Today’s oil has only continued to improve on that and several other fronts. What is different with our oil? When we started making Omega Cure back in 2006, we were the first omega-3 company to focus on the oxidation values of our oil. We cared about these freshness numbers because we saw that they were key to potency and safety — and we also recognized that people did not want to swallow bad-tasting oil that gave them ‘urpy reminders. For those in the know, the omega-3 fatty acids EPA and DHA are the considered the “active ingredients” in an omega-3 oil. 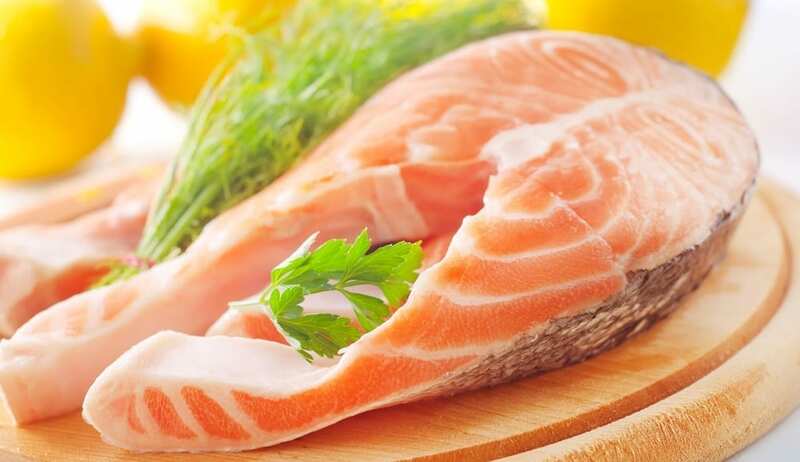 As the main workhorses of the omega-3 family, EPA and DHA play important roles in fighting inflammation, as well as promoting brain and eye health. As mentioned above, Omega Cure today contains more EPA/DHA in every mL of oil. In addition, because Omega Cure is and always has been a full-spectrum product, it also contains substantial amounts of other naturally occurring, beneficial fatty acids, which are typically lost in highly concentrated omega-3 products. 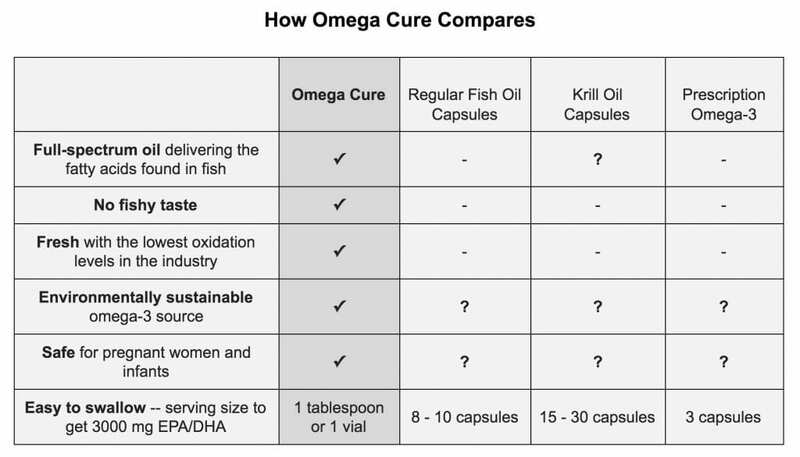 This combination of effective EPA/DHA doses, along with a full-spectrum oil, are two of the key reasons for Omega Cure’s exceptional potency relative to other fish oils. 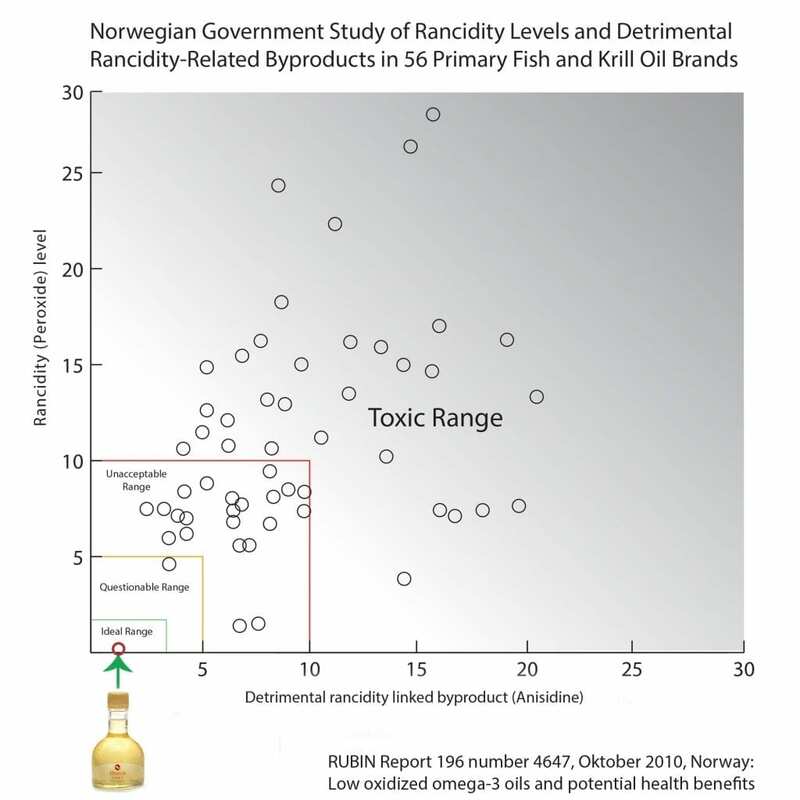 Different omega-3 products can contain radically different ratios of EPA and DHA, depending on the source and brand. Recognizing this diversity, more researchers have started to examine how various fatty acid ratios impact potency and bioavailability. Because EPA and DHA work synergistically together in the cell, some scientists believe that omega-3 products with an even ratio of these two fatty acids are more effective than oils that contain only EPA, only DHA, or uneven amounts of the two — and studies back this assertion up. This is why Omega Cure now contains a 1:1 ratio of both fatty acids. 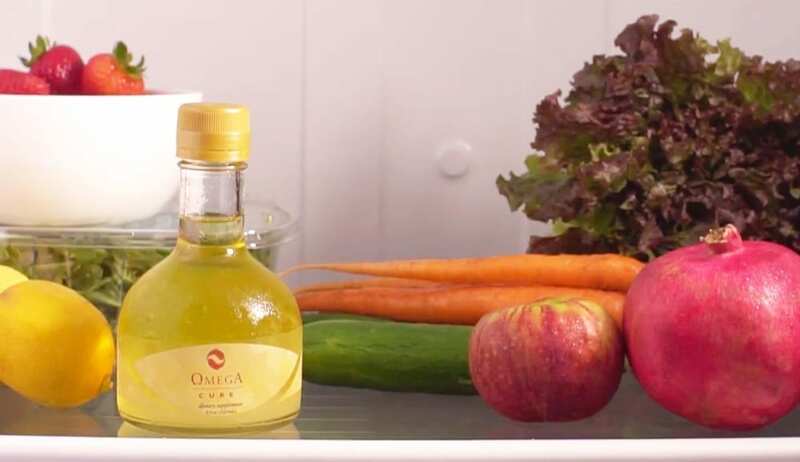 We’ve always been focused on the world-class purity and freshness levels of Omega Cure. Thanks to improvements in technology, Omega Cure today goes through an even more sophisticated, proprietary purification process. This ensures that our already super-fresh Omega Cure oil has even lower oxidation values than it did in the past — far surpassing the quality of any other oil we’ve seen on the market. We are constantly striving to push the boundaries of what an omega-3 product can be, be that through our innovative food products or our pioneering combination of Omega Cure with melatonin and vitamin D3. 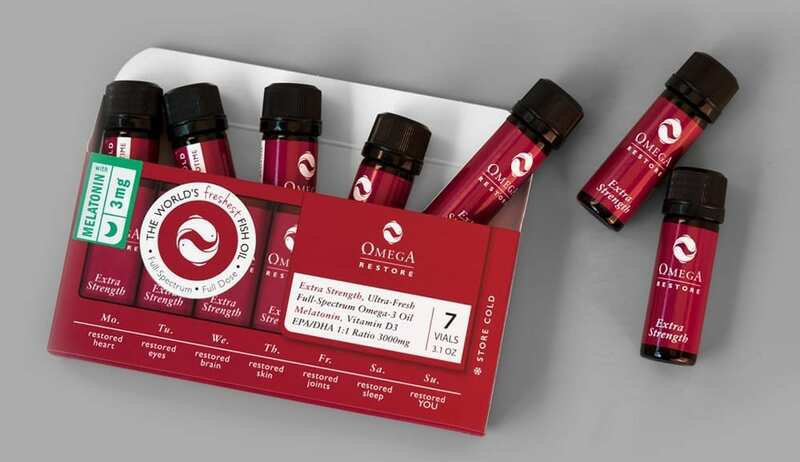 However, all of our product innovation stems from fresh, full-spectrum Omega Cure, and we are pleased to provide you with an even better quality version of this unique oil today.